So I realize that most of these articles that I write truly fall under the category of native advertising, and, sifting through all such internet content can be very frustrating. Especially when you are looking for legitimate objective information upon which you will make decisions that are important to you. The majority of these articles that I write are at the direction of my marketing consultant (shout-out to Wired SEO) and, though I have no great love for the concept of native advertising, I must admit that it really does help increase our visibility. So... even though I have a distaste for such marketing and I don't fancy myself a great writer, I will continue to post such articles. If you have made it this far, keep reading. I promise it will be worth your time! One of my favorite albums. Image obtained from the internet. Free picks offered in lieu of lawsuit. When I think metal, I think Metallica. 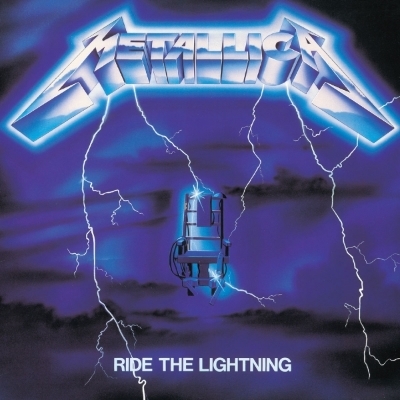 There are, though, so many worth mentioning like Pantera, Black Sabbath, and Iron Maiden to name a few, but Metallica is the first band that comes to mind. As it so happens, their music is among the first I learned to play. Fade to Black is a song I "cut my teeth" on with respect to learning lead guitar -- I think I just dated myself. Though I certainly wouldn't claim that they were the first metal band, they certainly are one of the all time greats and their music helped to define and shape this genre. I could go on and on about the various playing styles and techniques that have been used in metal, we will only cite a basic few. Fast, thick, high gain rhythms; searing, swift, shredding leads; chunky palm muting; quick arpeggiated melodic runs; and many combinations thereof. And so much more really. Bottom line, metal is very demanding, and you need a pick that can transition seamlessly between techniques. I stand by my opinion that The Dragon's Heart is the best all around pick for any style or technique. This is doubly so for metal. I designed this pick for optimum interaction with the strings, which gives the Dragon's Heart a significant advantage over any other pick. Especially when it comes to speed and consistency. Don't take my word for it though. Hear what others have been saying. From our friends at Headbang or GTFO, who write on all things Metal, as well as a great note from the guys at Metal Guitar Stuff. I’m definitely doing to use these for studio recordings. And here's the complete video from Metal Guitar Stuff as they talk about Dragon's Heart picks. Now of course I recommend the Dragon's Heart, I make them, I sell them, and they are the only pick I use; but ultimately it is up to each individual player to decide what is best for themselves. I tried nearly every pick on the market before I set out to make my own. I recommend you try as many as you can but, if you only try one, try mine. I have done all the homework for you. Here is where you time reading pays off. While I need to make some degree of profit in order to keep this great pick on the market, I am really more interested in sharing it and getting it out there. If you decide to give them a try, enter the coupon code METALDRAGON and you will get 20% off your order (limited time only). In addition, please feel free to email me directly and tell me what you think. This one pick is only the first step, I have plenty more ideas for products that I want bring to all players. Your input helps me refine these ideas into products that we all can use and appreciate. Until next time... Play with fire, in your heart!